Volunteers harvested over 30 lbs of beets, cabbage, lettuce, kale, cucumbers, and zucchini for the Edmonton Food Bank on August 11th, 2015. 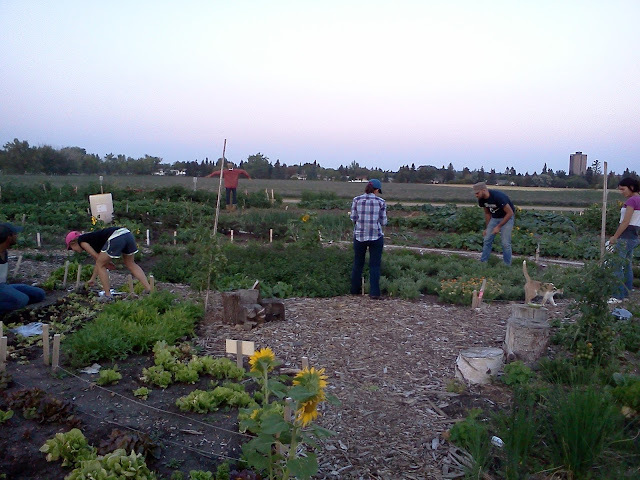 We produce a lot of food at Prairie Urban Farm. 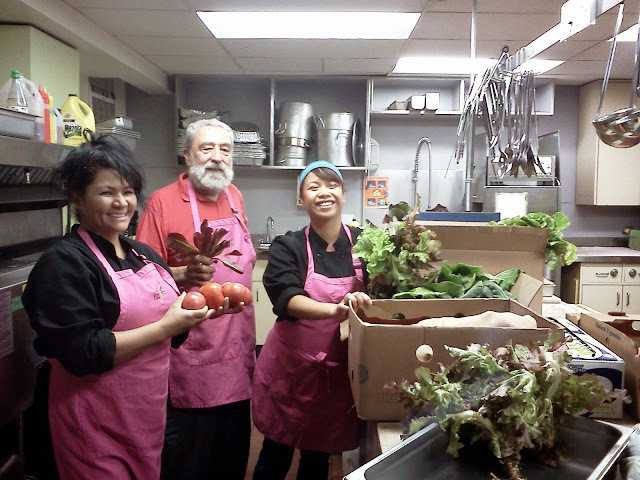 Most of our food goes home with our volunteers - the people who work so hard to make our project succeed. Core to our philosophies and goals at Prairie Urban Farm is to increase food security: access to nutritious, sufficient, and safe food for all. This includes creating an abundance of fruits and vegetables for those people in our community that are struggling to access nutritious, fresh food. Volunteers from The Neighbour Centre showing off their harvest of greens, beets, and herbs for their weekly Dinnerclub program. How can Prairie Urban Farm help? 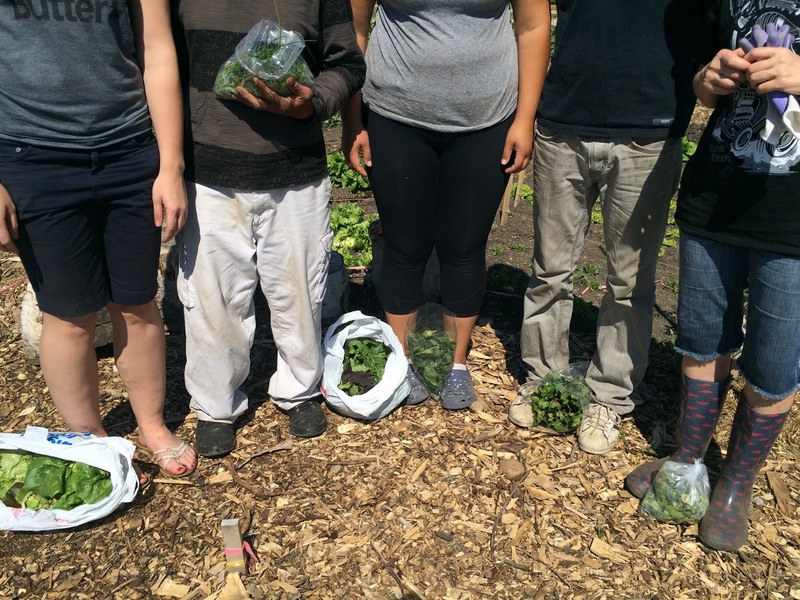 This week volunteers harvested over 30 lbs of salad and stirfry greens (lettuce, chard, kale, mustard), zucchini, cucumber, beets, peas, and cabbage. These raw vegetables were taken to the Edmonton Food Bank warehouse where they will be stored in their coolers until used for hamper production. This will help provide our most food insecure community members with access to more nutritious food on their next trip to our local Food Bank. 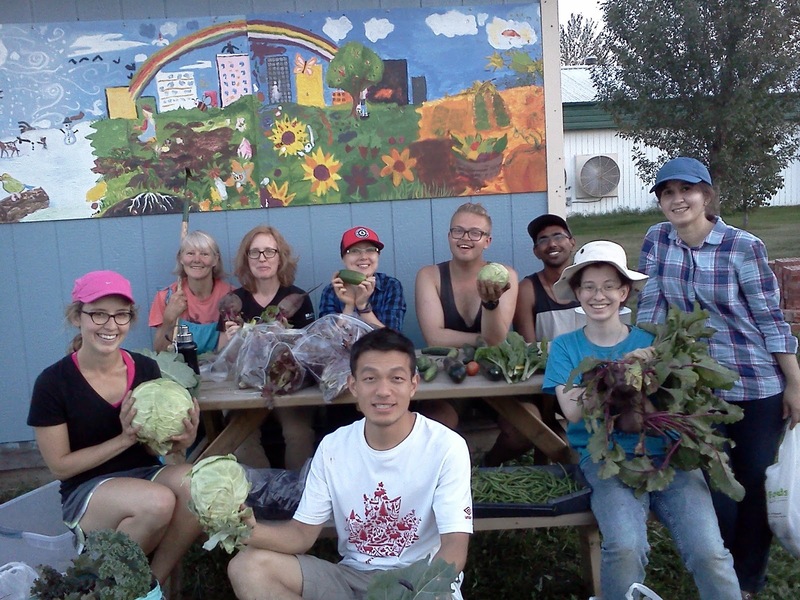 Volunteers harvesting greens and veggies for the Edmonton Food Bank. 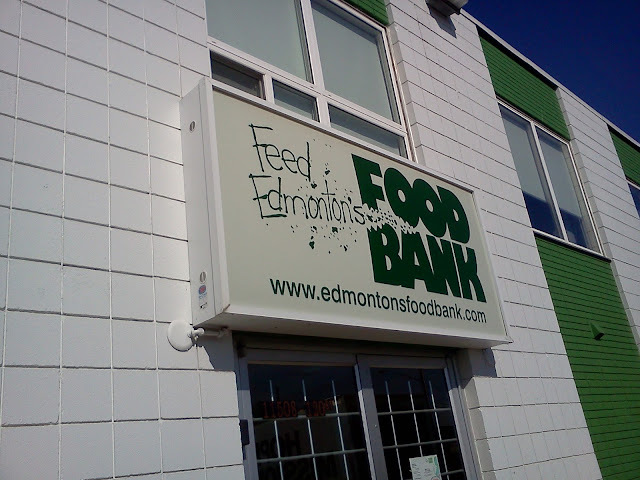 The Edmonton Food Bank Warehouse in downtown Edmonton where we dropped off our 30 lbs of fresh produce.